I don't understand the "purist" mentality of only having B series swaps in these cars. If you want to swap in a K series I don't see why you cannot. It's better technology and better power. 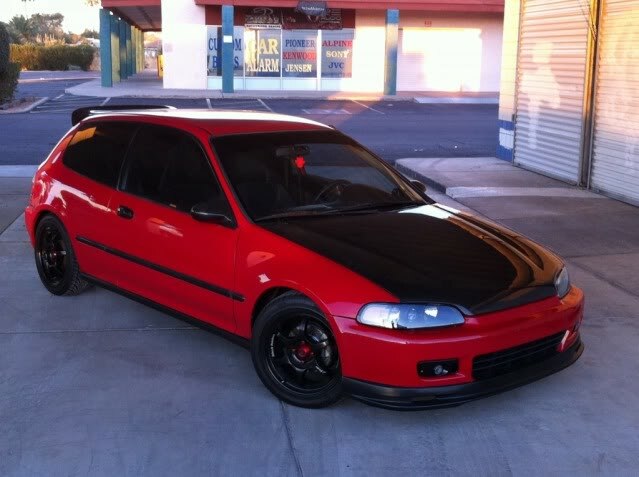 Id love to have a K swapped eg or ek but I am not sure if I caneed go back to front wheel drive. Maybe a K swapped NB miata? It's kind of like seeing a K swapped into an S2000. Some people are going to like it, the purist won't. My biggest gripe with the K-series swap into an older EF/EG/EK chassis is the oil pan to ground clearance. IMO, the oil pan hangs dangerously low. If it had more ground clearance, I'd probably feel differently. I wish I could legally swap a K-series motor into my S. One of the drawbacks of living in CA is getting all these swaps BAR'd. Probably the cost... a K swap in an EG would be well over twice the cost of a B18 swap. That makes sense. Cost aside I think the only draw back would be the oil pan clearance issue that someone mentioned in this thread. Hows the K24 in the S2000 btw? I still have a Eg hatch sitting at my parents house in AZ. One day I will get around to bringing it up here and building it just need more space. B series is much more cost effective than K series. Don't get me wrong K series in one of these is super cool but I would likely go the b series route myself. They are wonderful cars. Comfortable. Easy to fix and maintain. Endless parts options. Surprising amount of space for being pretty small compared to a modern civic. The downsides have been mentioned but to really hit it home you need a secure place to store it. The S2000 will get vandalized and the seats stolen but the EG will just be gone and the risk only increases as you modify it. I kind of feel like EG hatches are the Fox Body Mustang of my generation (I'm 33). I'll let you decide if that's a compliment or an insult. Haha. Here is a pic of my hatch. Still how it sits today. K24 in the S2000 is doing extremely well. Made some changes and plan on getting a retune in the next week or so.